Thank you! Enjoy the year ahead, Tammy. 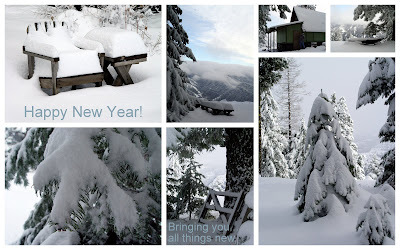 Happy New Year...you're buried out there or is that the mountain cabin? Happy New Year. Love visiting you to see what you have to share. Your photos are gorgeous! Happy New Year and may all your wishes come true!! It looks like you had a festive, joy-filled Christmas. Lots of snow too? Many blessings to you in the New Year. Happy New Year to you and your very special family!